Did You Know, Someone shouting "Flags Up"on a circus means a meal is ready to be served at the cookhouse. A circus is a small town that moves from one place of exhibition to the next, once described as "a city without a zip code". 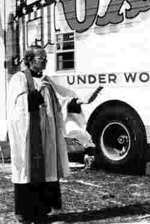 Most circuses provide their own electrical power, large circuses have their own schools, cafes, convenience stores, laundry and even pastors to deliver Sunday services. 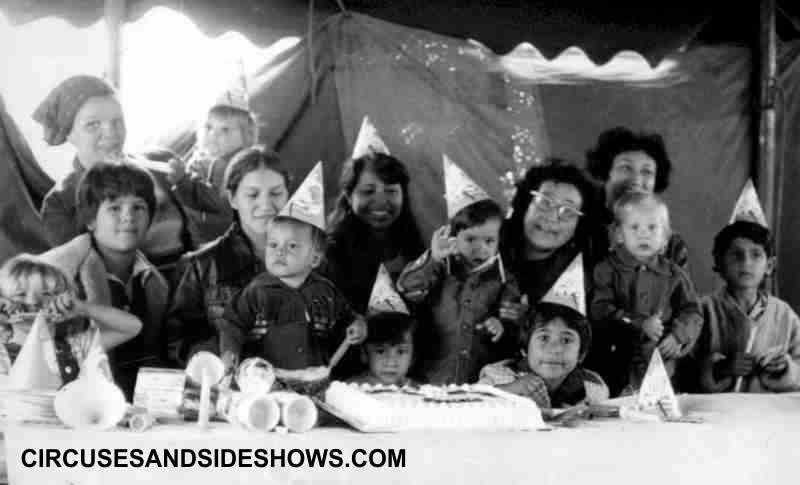 The term circus is often confused with carnival, however they are very different businesses and cultures. A circus is an autonomous business owned by one individual or corporation. A carnival consist of independent concessionaires and ride owners who may book onto many different shows during a season. 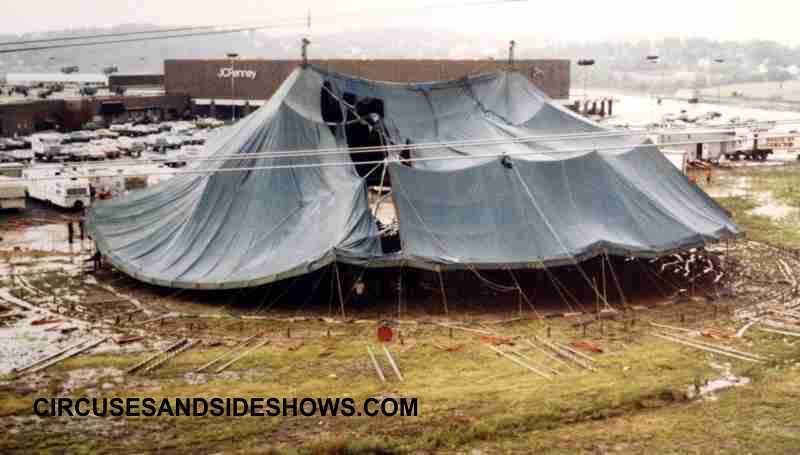 On a circus you will find tents, trapeze artist, lions, tigers, elephants and clowns. On a carnival there are mechanical amusement rides and games of chance. Yes they both sell cotton candy. 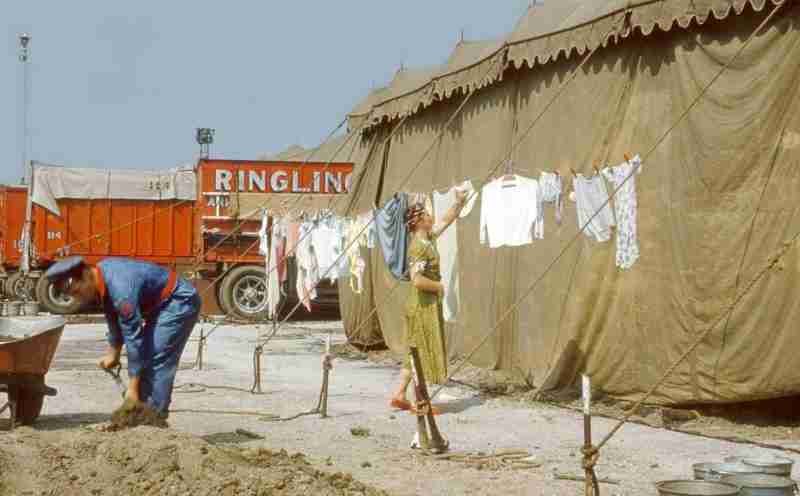 In years past most circuses and still today many circuses move every day, that's 7 towns a week 2 performances a day. From the opening in spring until the close in late fall there usually no days off. You will rarely hear of a show person taking a sick day, the old adage"the show must go on"certainly applies to circus people. The circus life is not an easy one. There are storms, cold, heat, mud, long jumps, wrecks, injury and months away from home. Yet with all this against us if you ask any life long showmen the question, why do you do it, why not find another job? They will answer "what and give up show business!". We do it for a love of the business, of the traditions, of the culture and a love of the circus. I can't think of another environment that has the learning opportunities as does the circus. Imagine being in a different town everyday. Your backyard changes Dailey from mountains, to deserts, to cities or to oceans. Your playmates are from different countries, have different languages and cultures. Where else at a kids birthday party would you find midgets, giants magicians and clowns and not have to pay for them to be there. Schooling is very important on the road, some circuses may have professional teachers on other shows kids will be home-schooled by a parent or designated person. The curriculum and progress is monitored closely by either a family's hometown school authority or a certified correspondence school such as Calvert Schools of Baltimore, MD., (a favorite choice of many show parents). The family unit is very strong on a circus. You live together, work together and eat together daily, you are never more than a few hundred feet away from your family. The show itself becomes a parent with everyone looking after the show kids. 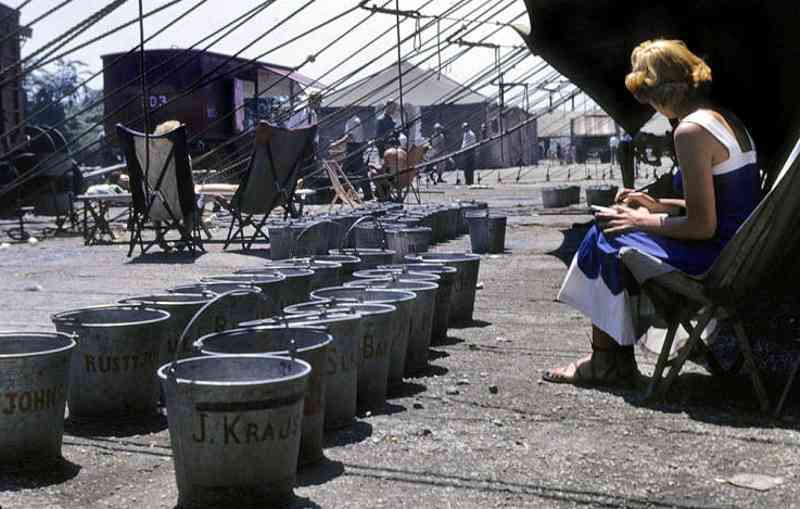 Kids learn good work ethics early on circuses, everyone has chores or duties that must be performed daily. 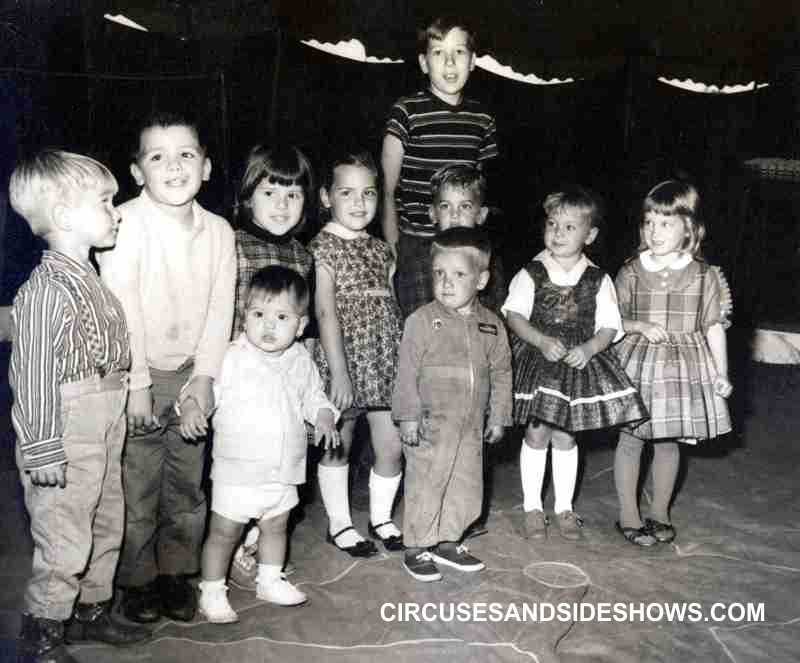 Children of performers like to imitate their parents, so often kids learn circus acts very young and on their own. Playtime can actually becomes training for circus children's future careers. Did You Know, Circus people use arrows placed along highways to guide them from town to town. Each circus has its own design and color. "Don't blow the arrows"means don't get lost. When patrons watch a circus performer walking on a thin wire forty feet above the ground, they may think there are many injuries and even deaths due to performing mishaps, but that is far from the truth. Circus performers are professionals, they have perfected their acts from many years of experience an practice. Performing accidents are extremely rare. There are dangers associated with being on the road, the most common would be strong storms. 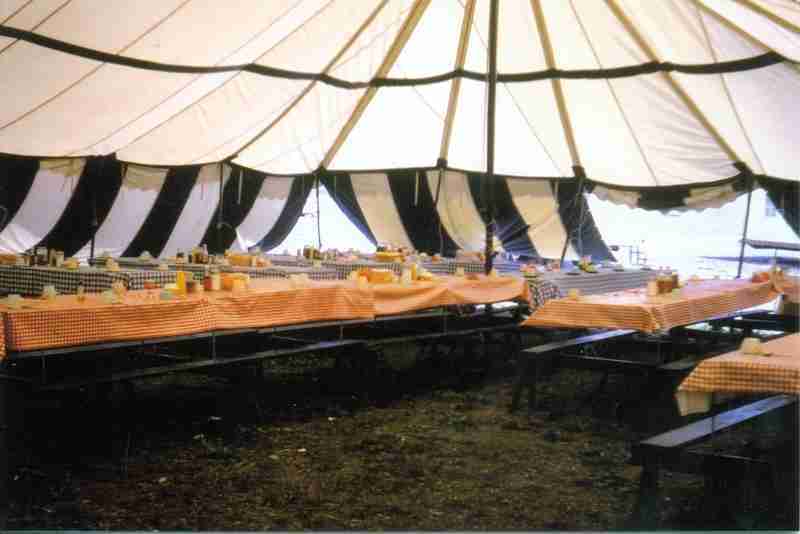 A circus tent is no place to be in a thunderstorm or high winds. 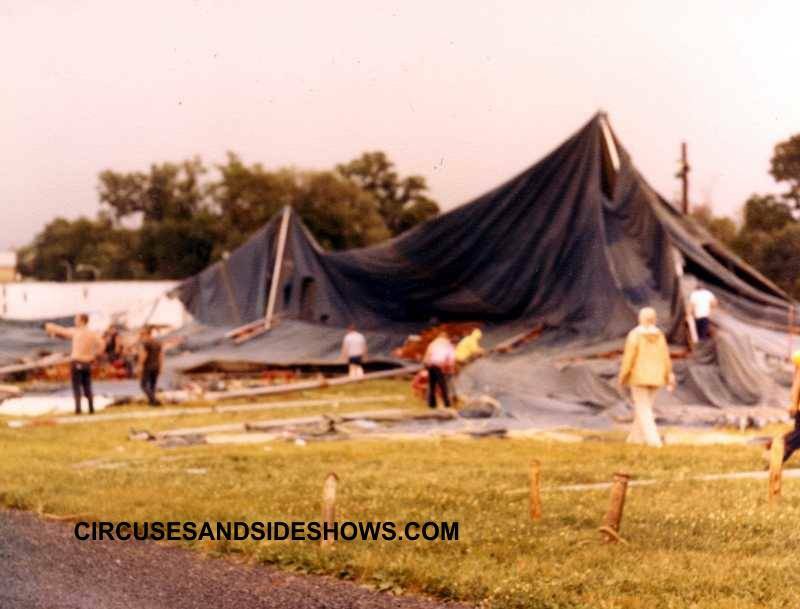 Many a circus has had to end their season early due to losing a big top and equipment due to storms. Showpeople monitor the weather closely and know when dangerous conditions may arise. Everyone raised in the business knows their first obligation is to the audience and to their safety. In the event of an emergency you would see all show personell, performers, clowns, concessionaires, managers, EVERYONE ushering people to safety. Do you want to learn to speak the circus language? Then see our "Circus Lingo"page. 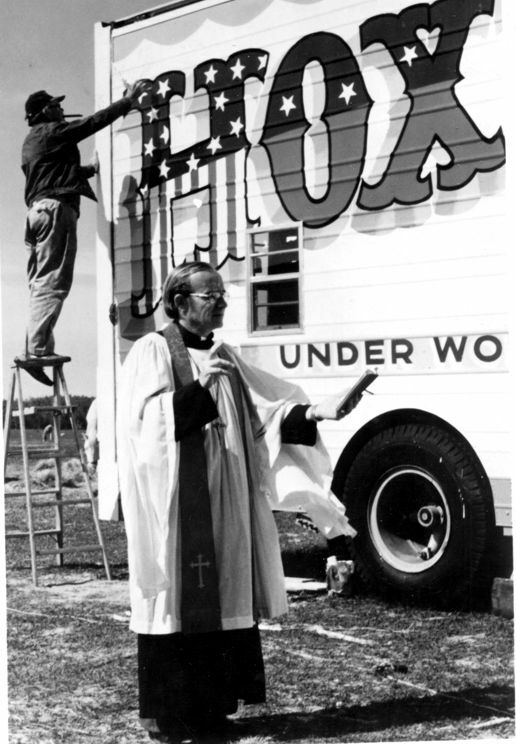 blessing the Hoxie Bros fleet.